Start planning for Boxing Day as flyers are starting to show up! 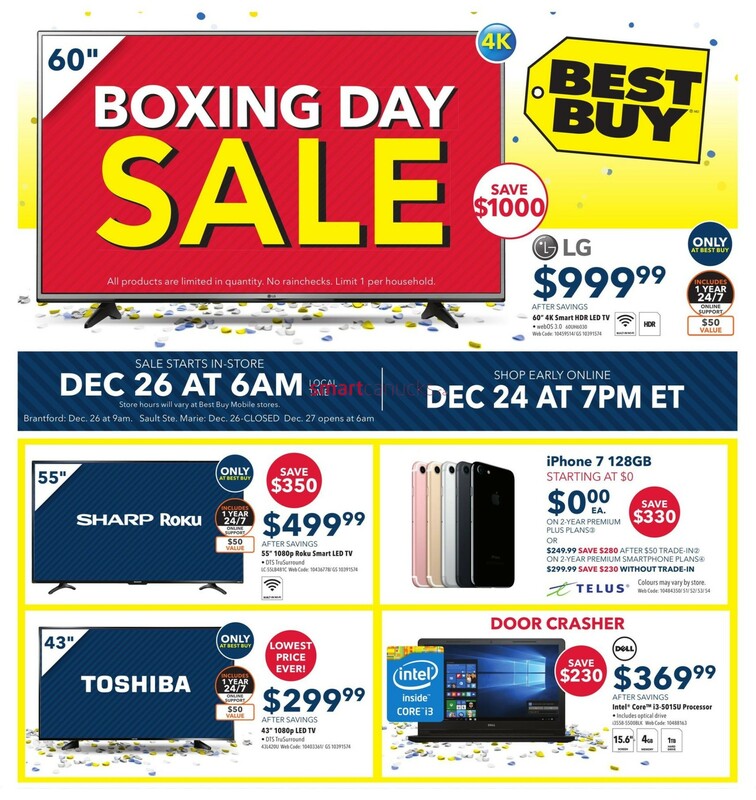 We have an early look at the Best Buy Canada Boxing Day flyer including door crashers and more. You can shop online starting on December 24th at 7pm Eastern or shop early on Boxing Day with stores opening at 6am. There are deals on almost every television you can think of, from 32″ basic models to 78″ curved TVs. Click here to see the entire 2016 Best Buy Canada Boxing Day flyer. Choose from deals on electronics, large and small home appliances, personal grooming and more.